Series exploring concerns about ageing. Fiona Phillips explores the loneliness epidemic, and Dr Rangan Chatterjee looks into why sleep could be the key to good health. Yes, it's been completely renovated throughout. To how much money we have to spend. Your wage ends up being like a normal working wage, which is good. I don't think I've ever been "fat" fat, but I have put weight on. You are going to live to be 140. That'll do, I'll take everything I can get! -Or slow down the ageing process just a little. We've tracked down the very best tips and advice for holding back the years. Here's what we have for you today. but help might be just a simple call away. Fiona investigates how loneliness is being tackled in Lancashire. When Paddy died, I thought that my life had ended at that point. I wanted it to end at that point, I didn't want to go on without him. It's almost like you've got a new life now, going forward. to holding back the years. but if I can have five hours' sleep, then I'm more positive. -I just deal with it. comes to downsizing your home. "that's an awful lot of work". its first-ever Minister for Loneliness. It's in recognition of what many people see as a national emergency. lonely is something that can't just be left to those at the top. comes to people power, so we gave them a visit. in the UK are chronically lonely. like, since your Paddy died. -He was the love of your life, wasn't he? he was my soul mate. And I thought at first it was just the grief that was getting to me. -But it was like a real pain. long hours when I was completely on my own. The last five years, I haven't had to give up fighting that feeling. Nothing replaces that one person in your life. holding me by the hand. Made me feel so safe, you know? So I felt unsafe and scared and frightened and vulnerable. you have to cope with stretches of time when you're on your own. How long could you go without seeing anyone? At the beginning, it wasn't too bad. I'd not see anybody. I'd have the television on all day. It helps with the loneliness sometimes. That's right. Well, it's those hours after tea were the worst. "What's a decent time to go to bed?" because I just wanted to draw a line under the day. without speaking to anyone at all. People need to understand what it's like. "I've been stood here, let me get away". And you're the only contact she's had for a week. And it's so true. Christine wasn't alone in being alone. where otherwise isolated people can get together. Well, the atmosphere when we walked in was amazing. -I thought, "Oh, my goodness, is this Good Friends?!" You know, it was an incredible, real buzz about the place. -What does it mean to you? all getting together and helping each other. And you can't feel lonely while you've got all this going on. No. As soon as you walk through that door, you don't feel lonely. do you think that this has been a real life-saver for you? point. I wanted it to end at that point. I didn't want to go on without him. It's almost like you've got a new life, now, going forward. full of happiness and looking forward, rather than looking back. as Christine and the gang at Just Good Friends. the television is their main company. So, what's the answer for them? -No problem. You know what? We all do, don't we? -No, I can understand that. -How many have you read this week? Meeting me today is chief executive, Sophie Andrews. What do you do here at Silver Line? which is where we are here today. sometimes for information about local services, sometimes to report abuse. Sometimes they want a chat and just want to have a listening ear. no-one else to turn to. come from all over the UK. So, the age range from 55 up, but most people who call us are over 75. It's not necessarily about living on your own. if you've lost your driving licence, if you've lost your mobility. that can really tip things for people. high blood pressure, and also have lower resistance to disease. more dangerous than smoking 15 cigarettes a day. a burden, don't want to bother people. We want to hear from you. We're here, so please ring us. going days without human contact, what is it we can all do to help? So, where are you going to go for your shopping? So, the problem is growing, what can we do about it? and what we're doing at The Silver Line is very simple. as well, call up and tell us a few jokes. But it's very, very simple what we do here. We offer that ear 24 hours. and, with the person's permission, share the call with you. Good. So, what's day-to-day life for you like now, Betty? -How lonely do you get? What makes you pick up the phone to Silver Line? 'sort of one o'clock in the morning, I haven't been to sleep. your own and, you know, there's a long day ahead sometimes, isn't there? -Yeah, you too. All the very best. You can see how much Silver Line means to Betty. ideal, either, and that's when she phones. which is why the final initiative I want to introduce you to here in Lancashire is so inspirational. -I'm going to carry on doing the butterfly. Anybody want this pretty pink? the girls are doing exactly that, and they're loving it! It seems as though you're enjoying yourself. Yeah, we all come here and we get to do all crafts and stuff. How much do you like coming here? -And have you learned anything from them? Yeah, I've learnt how good they are at art. You can do a lot when you're older and when you're younger. Even when you're older, you can have a lot of fun. it's not only the children having fun around here. You look as though you're enjoying yourself, Mike? I'm having a ball, actually. -Some of the things they're saying, you go, "Wow, a totally different view!" told them how to win at the game instead of getting beaten. -I hope you haven't told them how to cheat. If you're feeling lonely, then there are ways of getting help. so check the phone book or maybe go online for a number. -maybe a really, really long one. You'll have heard the old saying, "Life begins at 40". might actually begin with 40 winks, too. Easier said than done, sometimes. is unfortunately uniting the generations. a night than we did 60 years ago, and that's causing us major issues. and sleep deprivation has now reached epidemic levels. who is concerned about her own sleep habits. Beverley, just how bad is your sleep? I'll fall asleep about 7:30 and wake up at 8:30 feeling quite groggy. make my next day very difficult. to do the things I really want to do. like, but what's the cause? She's got her own theory. My first husband died, and I think everything stemmed from that. then I just want to cry. I just deal with it. So, what's going on with Beverley? Well, there's a neat bit of kit that can help us find out. whether there's something more serious causing the disruption. the cutting edge of this research. at the association between sleep and ageing? In general, older people have less deep slow-wave sleep. Also, healthy older people wake up more frequently than younger people. we can find that those brainwaves also change with ageing. some real misconceptions about what helps you get a good night's sleep. helps them sleep. Is this true? it will start disrupting sleep. That disruptive effect of sleep is much more severe in older people. Is it the same with caffeine? a stronger effect in older people compared to younger people. time in our species' history, and it's all down to technology. we're all doing it seven days a week. will have an impact also on our sleep quality. I think that what we now know is that sleep is important. sufficient sleep is important for mental health. Sufficient sleep is important for aspects of brain function. Generally, an adult up to the age of 65 needs eight or nine hours' sleep. -Beyond 65, the time reduces to seven or eight hours a night. So, with this in mind, let's find out how Beverley slept last night. After a quick cuppa to wake her up, it's time to see the results. Giuseppe Atzori is the senior clinical research officer. So, Giuseppe, you've been monitoring Beverley's sleep through the night. Can you tell me what you've found? to fall asleep. 29 minutes. Now, that is acceptable, in terms of Beverley's age. the less efficiently we sleep. You estimate that you woke up about ten times during the night. You woke up a little bit more than that. and we worked it out at around about an hour, an hour and a half. And what sort of levels would you like to see there? So, anything between 10-20 minutes. -you haven't done too badly. -No, that's very, very interesting. disorder that might explain Beverley's sleep problems. you know, by and large, rule that out. -and it's probably time to focus on those things with a bit more detail. trying to sort other things out. And that's exactly what we're going to do. So, as night approaches, I'm going to visit Beverley at home. So, how are you feeling about everything? and figure out what I might be able to suggest to help you sleep. And one thing jumps straight out at me. So, how much tea do you drink? Erm, four to five cups a day, ish. -And what time's the last one? I try not to drink anything after seven o'clock. can't sleep, I recommend that they try and stop at a hard 12 o'clock, midday. Gosh! That's a long time without tea! -So, is this where you spend your evenings? I see the telly's on, there's a laptop. -These devices, they emit blue light. -you only really get it in the earlier part of the day. melatonin, and melatonin helps you sleep. Now, the most important place - the bedroom. -phone. Does this glow in the night? -having an impact on your sleep, I'm afraid. encourage you to try and make this room as dark as possible. So, these look pretty good, these blackout curtains. -Do they block out all the light? If it's a very bright moon, then there's nothing I can do with it. Yeah, there's quite a lot of light, isn't there, coming out? pull down, so you really get a nice, snug fit against the windows. So, plenty that can be done. Time to sit down with Beverley. and I've got some tips that I think are going to help you get better sleep. The first thing I'd say is caffeine, OK? Try and cut it back, so you're only having it in the morning. Second tip, try and get outside in the morning, if you can. evening. Third thing, I think you need a bedtime routine. "OK, now it's time to wind down for bed." switching off all modern technology for around 90 minutes before bed. And the final tip is, make your bedroom as dark as you can. -Right, yes, I can do that. -those ones, I think you will be sleeping a lot better, pretty quickly. but you'll be pleased to hear that it's pretty simple to improve this. in the quality of her sleep. All right, time to get quizzical. Just look at these clips and work out when they all took place. Yeah, and the question is simple: What was the year that was? So, here's how the game works. space of a year, but which year? And here's why you should play along, by the way. so this really could help you hold back the years. of the international press, leaning over their gardens. In fact, next door, they've been taking in bunches of flowers. And we'll bring you the answer at the end of the show. which is why many people choose to move to a smaller home. it's also very pricey, possibly, and emotionally draining. to meet the ultimate downsizers, for tips on how to do it properly. as nearly 6 million of us consider downsizing our lives. plus it's an awful lot easier to look after. or a busy city street to the peaceful surrounds of the seaside. downsizing is a super-sized affair. hoping to pick up some top tips we can all use. until they decided to pack up, ship out and hand over the keys. She's showing me around what they've left behind, from the outside in. This was an office and a playroom in general. -We used to have a billiard table in here. And the kitchen, which is nice and big. -Going into a little breakfast room here. Wonderful parties in that room there. Since you sold it, how many times have you been back? -This is the first, really. -"That's an awful lot of work." So, what does downsizing look like for those who can afford it? This is the sitting room, and as you can see, it's lovely and light. -Goodness, this is a wonderful room, isn't it? -Very homely, but you have that space. Wonderful light. When the sun is out, there's beautiful light in here. This is the dining room - small, but you can get six in here. And what about the furniture? Because it works beautifully in here. -Yes, this is all mine. -All from the big house? All from the big house. We didn't buy anything for here at all. There's a bedroom in here. Ah, so you actually have a second reception room here? or the children, and it's got an en-suite in there. we may prefer not to sleep upstairs. their home, rather than purchase it outright. gardening and the utility bills. the move here hasn't been easy. or was it actually heartbreaking, doing it? -But has it been the right decision, do you think? operation, and found things very, very tough afterwards. to physically make the move? what you're going to keep? -Oh, yes, we got... The divorce lawyers nearly came. when it comes to downsizing. and this is as true for the haves as it is for those who have a little less. which my father brought back from China. money on it, but it was terribly hard. once you'd decided to get rid of them, to see the prices going up or not? -I was surprised, terribly surprised, yes. these notes saying that the plate had gone up. I thought, "That's a lot." Incredibly, the price reached £300 per plate. downsizers, there's help at hand. Thomas Plant is an auctioneer who has found that business is booming. how important for your business is the downsizing market? we used to deal in three Ds - Death, Divorce and Destitution. -Yeah. But there's a fourth thing, a bigger D, and that's downsizing. It's an absolutely huge market. Does it come as a surprise to people, how much it's all worth? Generally, you go around and say, "Well, that's worth £50. "That might be worth £100. That might be worth 300." And they're all little figures. Actually, when they all add up, they make a huge difference. and that's where Amanda Fyfe and Susan Griffiths come in. for the more discerning downsizer who prefers others to do the heavy lifting. what advice do you start off with? -Deep breath, that's number one, wasn't it? you know what you can dispose of. difficult to suddenly go to two bedrooms, isn't it? because they just don't know where to start. Amanda and Susan who helped Anthea and Brian make their move. This is for Anthea's house. -open the door and walk straight in. and then they come in and they've got a lovely home. The bed will be made, the TV will be connected, kitchen unpacked. And then they can start their life. but which they can share, and that's where this place comes in. chandeliers is part of the daily routine. Were you nervous coming here, making that big decision? But it was made so simple for me, really, when I reflect back. So, does anybody here wish they'd done it sooner? Yes. Maybe three or four years sooner. Although downsizing may not be easy, change can be positive. but you're all living within a community, as well. everybody's experience is different as well, isn't it? -Absolutely none. None at all. -Lots of fun to be had. Well said. Well, you certainly look happy here. I think there are lessons for all of us. a house if you can't physically make it work. want to buy your stuff. And three - you're not alone. So, get help. More hands make light work. and I've bought them a gift. ..we have done our very own plate to the two of you. -Oh, no, but I'm thrilled to bits. -..for the next phase in your lives. And we wish all three the very best. or rather the measures being taken to combat it for all ages. This is the story of the podcast pals. Ah, a nice cup of tea. You really can't beat it, no matter what age you are. become the basis for a brand-new podcast. That's a radio show on the internet, to you and me. Chris Heath from Peterborough is the mastermind behind this podcast. lots of people probably are doing already. "I'll just interview you, just to make sure the microphone works,"
and she said, well, "I don't know what to say." I said, "Well, let's just talk about your life." And so we did. And an hour and a half later, we were still talking. to people, everyone's got a fascinating life. but he soon realised that it could have an extra dimension. I wanted to focus on the loneliness of older people. I think, like anyone, I've had spells of loneliness, too. almost like a waiting list of people waiting to be interviewed. let everything out and tell you everything. Tommy Walsh, welcome to Two Cups Of Tea, the podcast. Take me back to the beginning. What was it like for the early Tommy Walsh? a cold water tap in the yard. -And that doesn't go on enough in society, does it? "I don't understand the computer, my grandson does it," all that. using the internet, which is great. so, everyone is kind of listening to it. the messages and stuff that I've been getting back. of Tommy has left Chris with a theory. is there's no such thing as an ordinary life. to people and listen to it. And Chris has found his fair share of interesting characters. they say, "Oh, you don't want to ask me, I haven't had a very interesting life, really." -was a guy I interviewed. -Yeah, who spent a day in Sydney with Vincent Price! Bernard Manning worked with your sister? cos I knew him in his early years, when he wasn't quite so famous. And I, at that time, I used to do a bit of chirping, as they call it. "you know, I can't just chuck it." -Then I thought about it, so I spoke to the old fella. "you want," that sort of thing. And, actually, it was good advice. life, the podcast soon got the attention of The Campaign To End Loneliness. Laura, from the organisation, saw it as a real opportunity. happy to sit in the corner of a room. something to be forgotten or ignored. the same is not true here in the UK. things that are happening in society that are marginalising older people. care homes or residential homes. So, what help and support can podcasts such as Chris's offer? all ages to interact with each other. It just gives us that in to say, you know, "Let's listen to this podcast together." we'll be running a major campaign in April 2018. And helping with loneliness is definitely something Tommy appreciates. just be polite, mate. Just give us ten minutes. "How are you, Tommy? How's your day going, Tommy? "What are you doing tomorrow, Tommy?" Great conversation is what, from being with you, I can see is what you're very good at. It's what you need in a day, isn't it? You need to be speaking and communicating with people. You do, indeed. Loneliness is mainly in the evening. And even a telephone call, a ten-minute call, it's surprising how it bucks you up, sort of thing. -Do they all talk as much as Tommy, Chris? But, you know, luckily, I've got a very long tape. Chris edits and uploads this latest edition. but who are some of his favourites on there? bright lights of the Manchester cabaret circuit from a tender age. United Kingdom and became a judge at Crufts. Woof-woof! who manned the anti-aircraft guns in the Second World War. So, listening to her could be your finest hour. has been the main lesson that Chris has learned from all of this? there's other problems in the world that are much harder to solve. just do it one house at a time. That's how you make a difference. who we're not talking to, who we should be. that old people make the best tea in the world. The year that Evita opened in London's West End. That marvellous musical. Don't cry for us, though. -We'll be back same time tomorrow. Everything has an impact on how well we live, whatever our age - from the type of house we live in to how much money we've got to spend, what we put in our bodies and the secrets of our genetic make-up. So finding out about all those things - and more - could help you mature brilliantly. Or slow down the ageing process, just a little. We've tracked down the very best tips and advice for holding back the years. And now, with the help of our team, we're going to pass them on to you, to show you how to have the time of your life, whenever that may be. Hosted by Bill Turnbull, Fiona Phillips and Dr Rangan Chatterjee, Holding Back the Years is a lifestyle magazine looking at how to stay well, live longer and be healthy - whatever age you are. 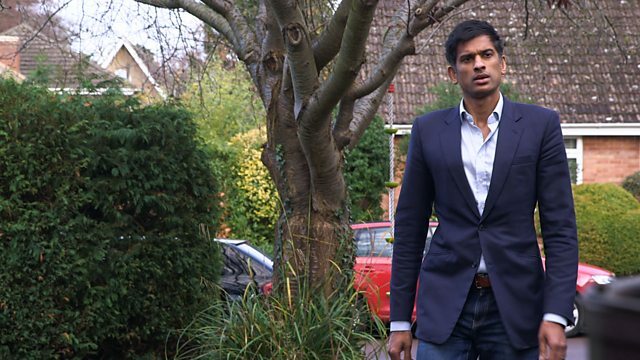 In this episode, Fiona Phillips asks what we are doing about the loneliness epidemic in this country, and Dr Rangan Chatterjee looks into why sleep could be the key to good health.